Oslo, Norway, 24 May 2018: Yara and Kalmar have entered into an agreement in which the leading cargo handling supplier Kalmar will deliver autonomous equipment, software and services for a unique, fully digitalized container handling solution at the Porsgrunn quayside in Norway. This means that all the necessary operations related to the world's first autonomous and electric container vessel Yara Birkeland will be conducted in a fully autonomous and cost efficient manner, with zero emissions. 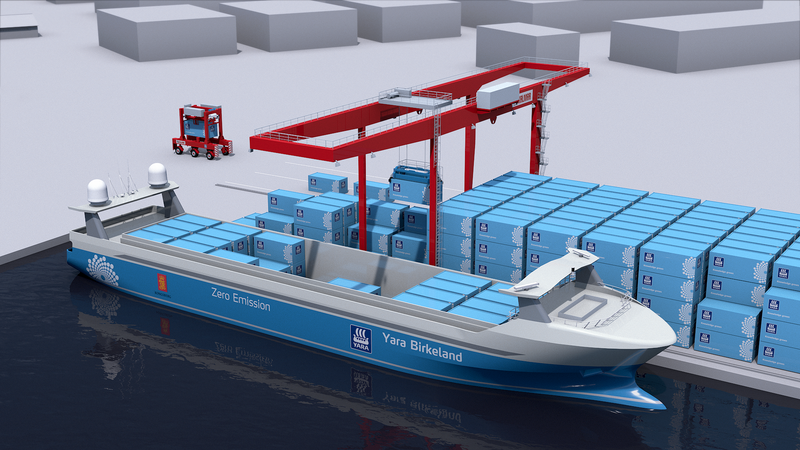 "With this agreement, Yara Birkeland is not just the world's first electric, autonomous container vessel; it is the world's first fully digitalized and electric supply chain, with all operations, including loading, unloading and sailing conducted in a fully autonomous manner with zero emissions. Kalmar has the proven equipment and software, and the know-how to integrate their solutions into our supply chain," said Tove Andersen, EVP Production, Yara. Yara, a world leading fertilizer company that helps feed more than 300 million people worldwide, last year announced a partnership with technology company Kongsberg to build the world's first fully autonomous, battery operated container vessel. Yara Birkeland will reduce emissions and improve road safety by removing up to 40,000 truck journeys annually in a densely populated area of Norway. The vessel will transport fertilizer from Yara's Porsgrunn plant via inland waterways to the deep-sea ports of Larvik and Brevik, a journey of 31 nautical miles. 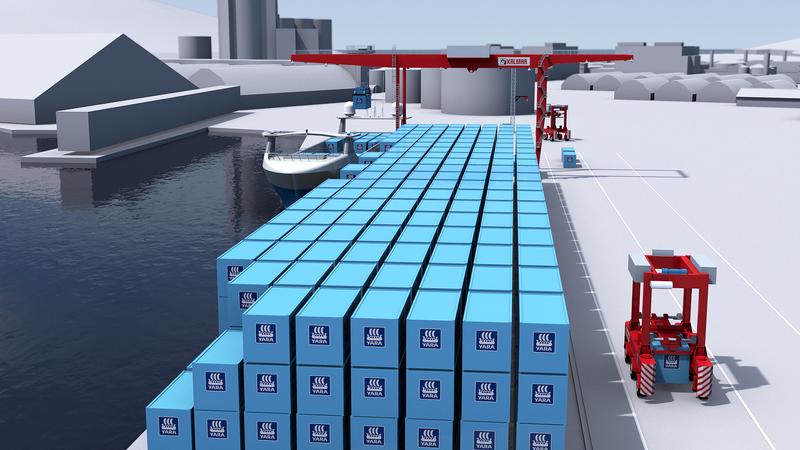 Kalmar will provide the autonomous loading and unloading solution for Yara Birkeland, as well as transportation between the fertilizer production facilities and the quay. The solution will be implemented in phases, with the level of automation gradually increasing over time. "We are very excited to work with Yara on this unique groundbreaking project. The project involves several firsts for us, including the first fully automated rail mounted gantry crane for vessel loading, unloading and container storage management. Furthermore, the Kalmar FastCharge AutoStrads will drive along the public roads in the Porsgrunn industrial park, which is also used by normal road traffic. We are working closely with local authorities and other parties to ensure safety at all times," said Tero Kokko, Senior Vice President, Automation and Projects, Kalmar. Kalmar offers the widest range of cargo handling solutions and services to ports, terminals, distribution centres and to heavy industry. Kalmar is the industry forerunner in terminal automation and in energy efficient container handling, with one in four container movements around the globe being handled by a Kalmar solution. Through its extensive product portfolio, global service network and ability to enable a seamless integration of different terminal processes, Kalmar improves the efficiency of every move. Kalmar is part of Cargotec. Cargotec's (Nasdaq Helsinki: CGCBV) sales in 2017 totalled approximately EUR 3.2 billion and it employs over 11,000 people.